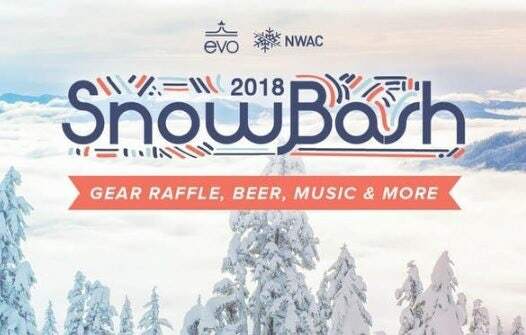 Join the Northwest Avalanche Center for the 18th Annual Snowbash at evo Seattle!Snowbash is NWAC's annual winter kick-off fundraiser and party bringing together the winter community for a night of great beer, food, music, raffles, and a silent auction. 2017 was the biggest party yet and this year we’re expecting even more of you snow sliding friends.Getting stoked for winter can never start too early so this year we’re moving Snowbash to September 28th. In addition to the obvious, there will be games, a food truck, photo booth, and more! What better way to support NWAC than drinking beer and winning the best of 2018’s gear?